Harvey Nichols has brought in Modus Publicity to help handle the launch of a new store. 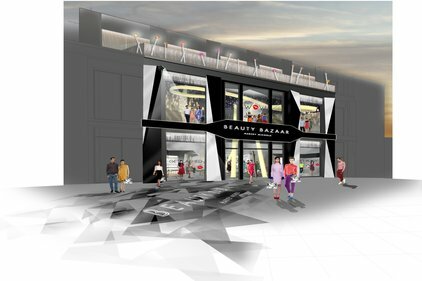 The agency was brought in to help promote Beauty Bazaar, Harvey Nichols, which is set to open in the Liverpool ONE shopping centre. It is understood that the work revolves around a six-month project brief to help launch the new 22,000 sq ft space this autumn. The messaging will be around promoting the store as the UK's first one-stop destination for beauty products. Harvey Nichols Group concessions and beauty director Daniela Rinaldi is leading the development of Beauty Bazaar. She said the focus had been on creating a ‘true lifestyle experience’ within an ‘aspirational, educational and service-driven surrounding'. Julian Vogel, co-owner at Modus Publicity, said the team was ‘excited to work on such a striking, innovative, new concept'. Harvey Nicholls recently courted controversy with ads around its spring summer 2012 collections that showed models who appeared to have wet themselves.